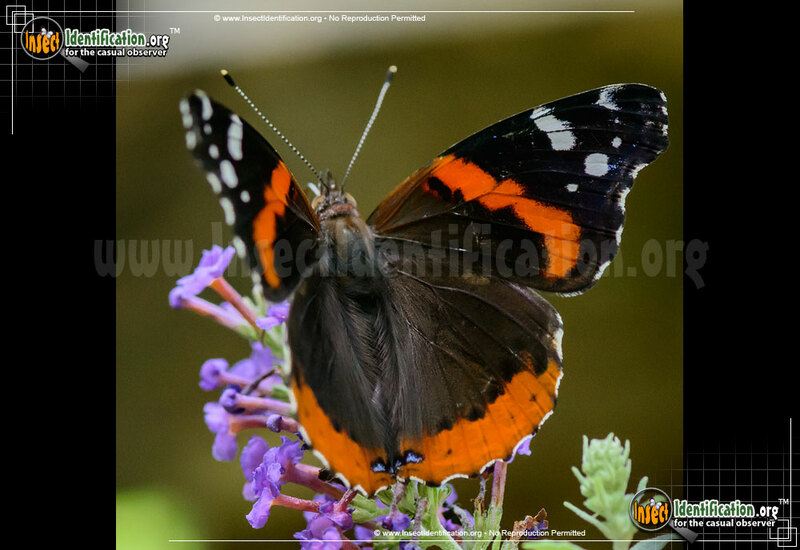 Detailing the physical features, habits, territorial reach and other identifying qualities of the Red Admiral Butterfly. 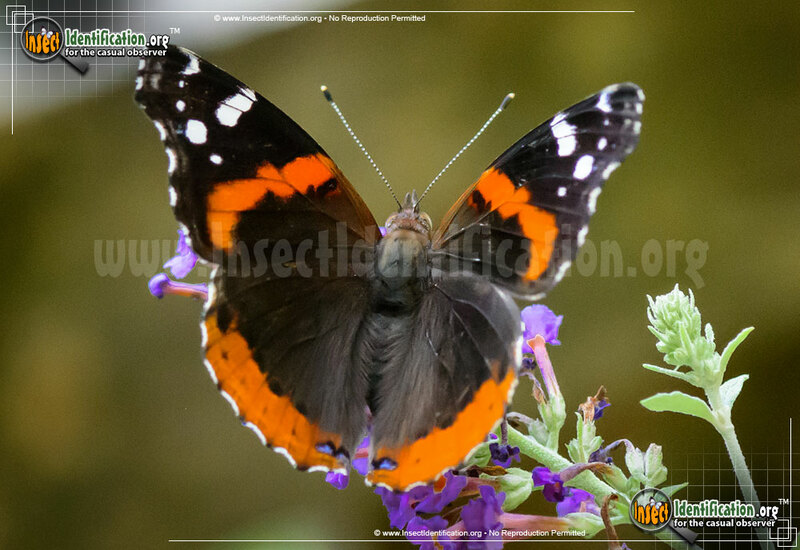 Strong migration habits ensure the Red Admiral reaches across all three countries on the North American continent so everyone can enjoy its beauty. 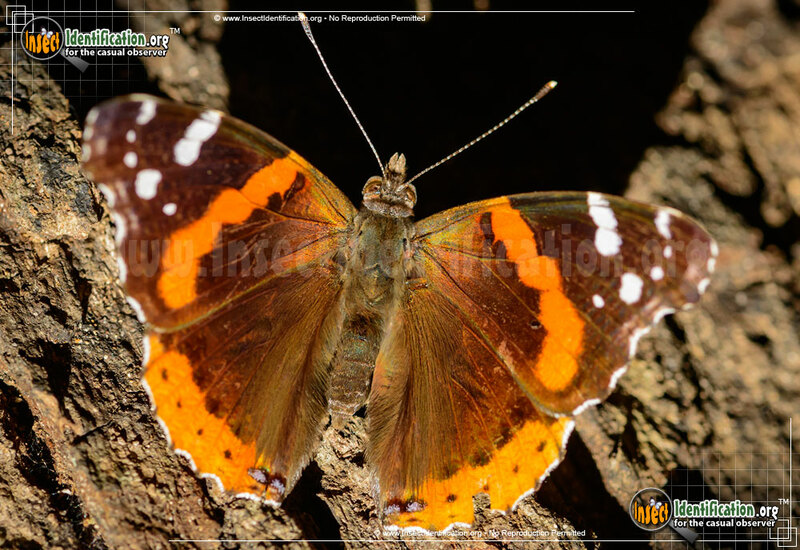 Red Admirals are hard to miss and easy to identify thanks to their size and distinctive color and patterns. The red part of its name comes from the bright red band that crosses the underside of the black forewing. The top side of the wings are orange and black with white spots near the wing tips. It can be found yearlong in warmer states and in Mexico, but only in the summer months in the north. These migrants can produce one or two broods during their time up north. The cold winters kill off any that remain. Adults in warm regions hibernate through the winter. Large populations migrate north again the next year, especially in the eastern half of the continent, enabling the species to return every year. 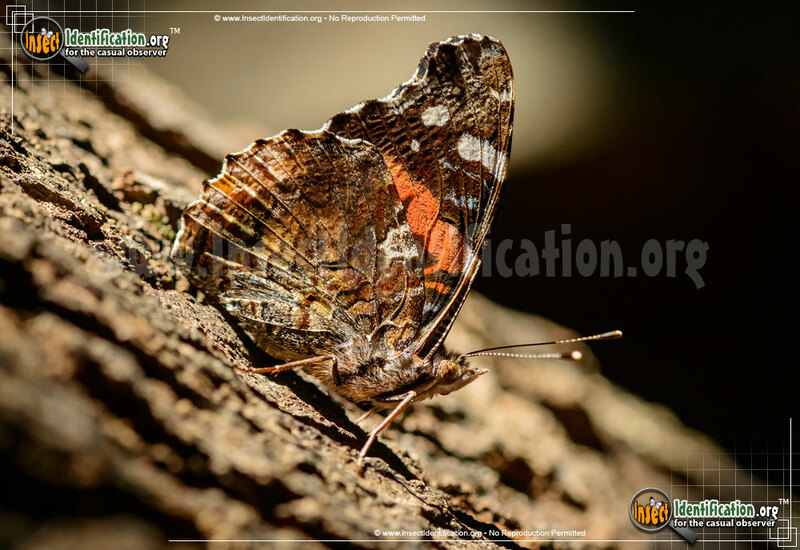 In desert regions, the butterflies start to move up the mesas and mountains at the beginning of the spring warm-up. Adults can be found in virtually any habitat, ranging from rural to urban, subtropcis to tundra. They prefer to drink sap from trees, liquid from rotting fruit, and bird droppings. They will drink nectar from milkweed, clover, aster, and alfalfa flowers if their preferred foods are not available. Males are active in the mid-afternoon to evening, looking for females. They dart out at approaching objects, quick to defend their territories from any living creature. Females lay a single fertilized egg on a leaf of the larval host plant. Caterpillars eat the leaves of nettles, false nettles, mamaki, pellitories from the aster family, and other related plants. Once caterpillars hatch, they form a retreat by folding leaves with their silk. The caterpillars are black, but develop white, or light yellow speckles all over the body. Several black, branched spines radiate from each segment; these spines may be white closer to the rear. There are seven yellow bands, bent into the shape of upside-down 'V's, that mark each segment along the sides from head to rear.